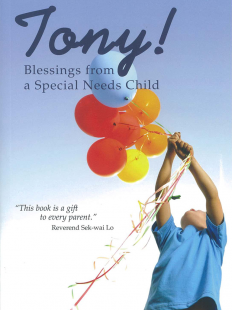 The book is about the writer’s experience parenting Tony, her son with autism. The book will have resonance for parents of children with autism and other learning difficulties. It chronicles her experience and spiritual journey as a mother of an autistic child, uncovering the myriad of difficulties that face parents of children with learning disabilities. Told from her own perspective, the book shows how, in fighting for the rights and best possible opportunities for her autistic child, she has turned a curse into a blessing. It demonstrates that however difficult it is to bring up children with special needs, these difficulties are not insurmountable.